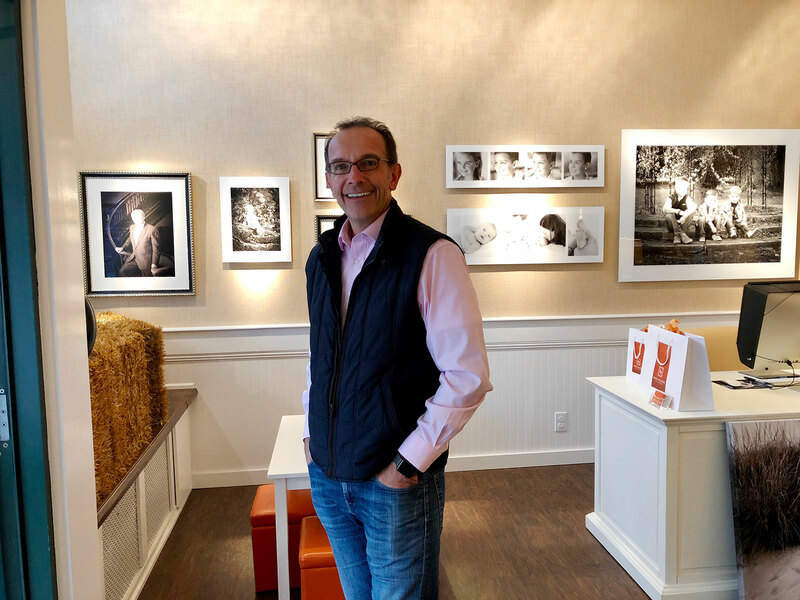 In a day and age filled with amateur photographers where everyone has an iPhone, we felt compelled to highlight the talent of Roger Pelissier of Roger Pelissier Portrait Photography in Wellesley, Mass. We’ve been spending a great deal of time with Roger of late as we work toward an exciting upcoming project, and have been struck by his affable manner and knack for capturing great shots. We’ve accompanied him on three shoots in one week’s time, and his subjects have remarked on his easygoing style and talent. While those he has photographed for BDG have been willing participants and quick with a smile or to receive advice, he can coax a winning grin or expression from even the most willful children. Capturing families through the ages is his area of expertise (in fact, he’s photographed BDG publisher Melanie Perillo’s children for decades). While our shoots took him to a historic landmark, the Boston Design Center, a builder’s residence and a designer’s kitchen, he’s happy to head out to beaches, barns, homes and landscapes, equipment in tow, to find the best backdrop for family portraits. Afterwards, clients can pick out a custom frame in the studio he owns with his wife Nancy to complete the effect. These days, you can often find Roger converting a beloved color portrait to black and white, or swapping a traditional frame for a contemporary one as clients change up their decor style. He also offers artful quality retouching for every studio session for editing far beyond what that phone app can do. Image: Roger Pelissier on the other side of the lens in his Wellesley studio as taken (my bad) on my iPhone.